Where to start? Well, with a planning hat on. Key message is to use technology solution in the area that you want most improvement, not just shoe horn it in for the sake of it…. The main message that has stayed with me from this week has been enabling learners to have a “belief in their own capacity to achieve”. They should be at the heart of everything we do and that blended learning can give the flexibility to enable those most at risk of exclusion to participate. It takes a department-wide agreed change to embed a blended learning approach – but there are small steps you can take for your individual courses and to suit your learners. Managing your own time as a tutor is just as important and must be included in your planning – how and when do you expect to be contacted and by what time must you reply? This course really helped to me to see that the steps we have taken here towards blended learning have definitely been in the right direction. The ideas and questions posted by participants have been very helpful in vocalising the issues we have had, as well as highlighting things we never considered. The sharing of teaching ideas and resources has been excellent and we have kept a list open on shared Google Doc for staff here all doing the course to share and amend. This entry was posted on December 11, 2015 at 3:50 pm	and is filed under Digital Literacy, library 2.0, Library Online, Online Learning, PGCE, Uncategorized. 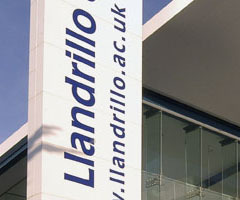 Tagged: Blended_Learning, coleg llandrillo, flipped classroom]. You can follow any responses to this entry through the RSS 2.0 feed. You can leave a response, or trackback from your own site.